This entry was posted in WikiLeaks & other leaks and tagged assange under the gun. Bookmark the permalink. “…my prosecution is the very first prosecution of an American for disclosing information to the American public. And that was ended a couple of years later by governmental misconduct. There were two others before President Obama, and nine or so under President Obama, of sources, none of these having been tested in the Supreme Court yet as to their relation to the First Amendment. Hasn’t gone to them. Not that any of these prosecutions would be favorably viewed by the Supreme Court as currently constructed, but that was a surprise to me given the obvious involvement of First Amendment rights. Ellsburgh also comments on those who assisted him avoid arrest back before his trial being even now unwilling to be identified. It does seem you are correct about the underlying purpose of the US extradition request. I did see somewhere a question being raised as to whether the judge could be himself causing a mistrial with respect to his blatantly obvious prejudice in the case. as for the judge slamming the door on him in his ‘failure to face bail charges in the UK’ i doubt his sentence will be less than the full year in belmarsh UK gitmo. calling him a narcissistic (as in the OP wouldn’t be grounds for a mistrial, imo, because at least in US courts, the presiding judge would be the one to decide that. the larger issue is extreme rendition to the US, as per eric london on the D electeds, but as i understand it julian will appear by skype from his jail cell in belmarsh prison. we can hope, pray, protest, sign letters…but none of it may matter to the outcome. a full-court press from moreno, the UK, and the US has him right where they want him, tragically. Is that demagoguery, comrade? When US slurps tiny, tasty caterpillar Assange, won’t that doom the fourth reich? he sure did tip his hand, didn’t he, dark-hearted joe manchin. precisely why old sourpuss imagined this scenario lookout had provided over yonder. the same glimmer of hope was posited by a commenter there as well; i don’t see it at all, unless his appeals take a decade or so, and the geopolitical situation shifts immeasurably. the UK’s home secretary is just a prince of a guy. Comrade, you sure you’ve busted the dragon? 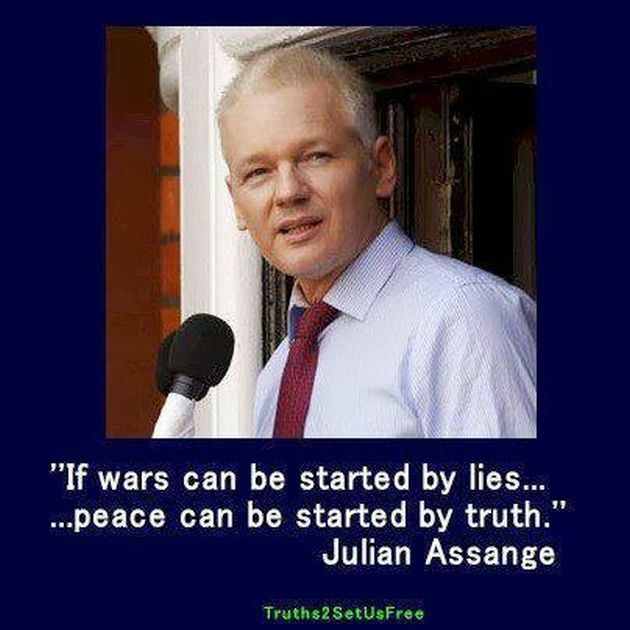 Assange played by the rules and they broke their own system to git’um. Now how did the monsters unleashed by Drumpf get there? Russia made “us” do it? HA HA HA HA HA HA. National Security. HA HA HA HA HA HA. These savagery managers have one legacy: war criminals. Their prosecution awaits. Can the hostages of settler-colonials be born again? the weakening of the liberal world order is due, more than anything else, to the changed attitude of the U.S. Under President Donald Trump, the US decided against joining the Trans-Pacific Partnership and to withdraw from the Paris climate agreement. It has threatened to leave the North American Free Trade Agreement and the Iran nuclear deal. It has unilaterally introduced steel and aluminum tariffs, relying on a justification (national security) that others could use, in the process placing the world at risk of a trade war….America First” and the liberal world order seem incompatible. What Haass is saying is that the cure for globalisation is more globalization, that the greatest threat to the liberal world order is preventing the behemoth corporations from getting more of what they want; more self-aggrandizing trade agreements, more offshoring of businesses, more outsourcing of jobs, more labor arbitrage, and more privatization of public assets and critical resources. Trade liberalization is not liberalization, it does not strengthen democracy or create an environment where human rights, civil liberties and the rule of law are respected. It’s a policy that focuses almost-exclusively on the free movement of capital in order to enrich wealthy shareholders and fatten the bottom line. The sporadic uprisings around the world– Brexit, yellow vests, emergent right wing groups– can all trace their roots back to these one-sided, corporate-friendly trade deals that have precipitated the steady slide in living standards, the shrinking of incomes, and the curtailing of crucial benefits for the great mass of working people across the US and Europe. President Trump is not responsible for the outbreak of populism and social unrest, he is merely an expression of the peoples rage. Trump’s presidential triumph was a clear rejection of the thoroughly-rigged elitist system that continues to transfer the bulk of the nation’s wealth to tiniest layer of people at the top. Assange irritates globalists, Trump bounties Assange, Globalists blame Trump. New World order bad for digestion, comrade. guess we’ll see by june 12 what case the dept of injustice makes for his extreme rendition and how the UK rules or postpones or waffles. thing is, what would torture make him say? here’s the dead man’s switch code? Putin done it (translated from idiosyncratic screams)?